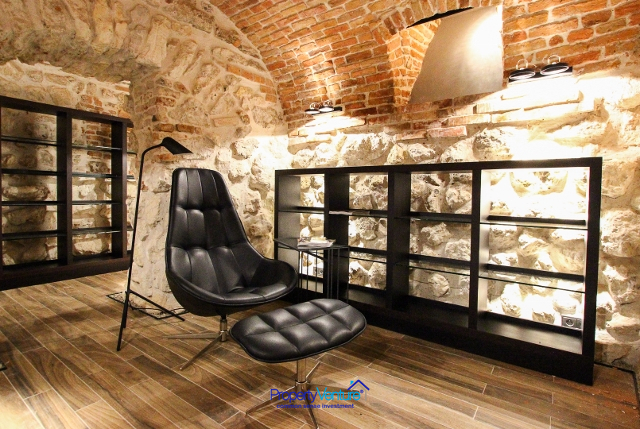 An apartment at the heart of UNESCO World Heritage site, Stare Miasto-Old Town-Krakow, within a stroll from Wawel Castle and on the edge of trendy Kazimierz, the renowned Jewish Quarter. All amenities on your doorstep and within walking distance. Investment yield of 5%. Krakow oozes culture and history, as a former medieval capital it makes a great location given all its historic connections and proximity to Auschwitz. Krakow's heart is the Rynek Glowny (Market Square) and surrounding historic places of the Old Town. There are plenty theatres, art galleries, museums, colleges, as well as an Opera, botanical gardens, restaurants, coffee shops and shopping centres. It has a traditional Christmas market which takes place in the main square. 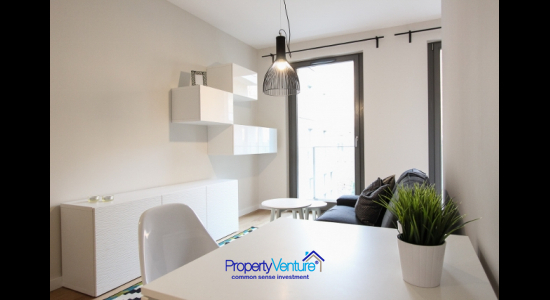 This apartment is built in an enviable location right near Wawel Castle and in the Kazimierz district, with its characterful restaurants, shops, coffee houses and market. 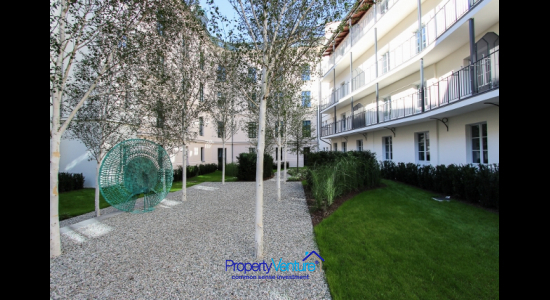 Comfortable and quiet 1 bed 43.32 sqm apartment with balcony in the centre of the Old Town of Krakow. 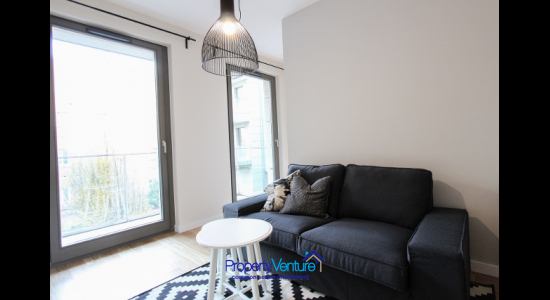 High-standard, luxury apartment right near Wawel castle, as well as near the Vistula River and on the edge of the fashionable Kazimierz district. 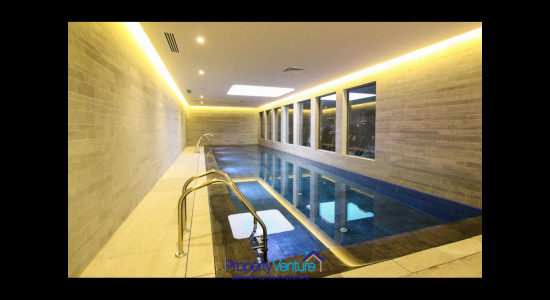 It is part of a fairly new complex which has a swimming pool, gym, sauna, cinema, wine cellar, reception, 24 h monitoring and security, all in the building. Within the complex is a beautifully arranged green area and patio. 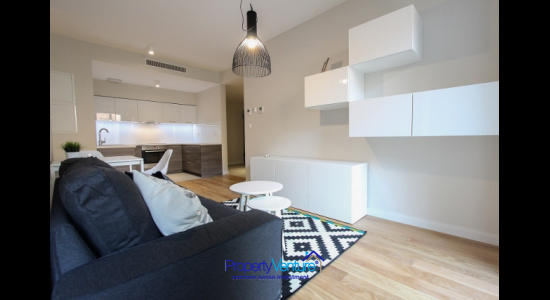 The apartment is air-conditioned and has underfloor heating and a video intercom system. The 43.32 m2 apartment is on the 1st floor overlooking the inner patio. 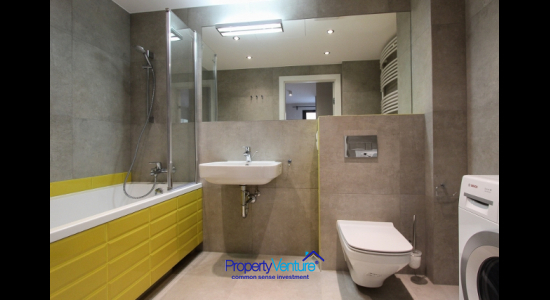 It consists of a living room with access to a balcony, a kitchenette, a bathroom and a separate bedroom. 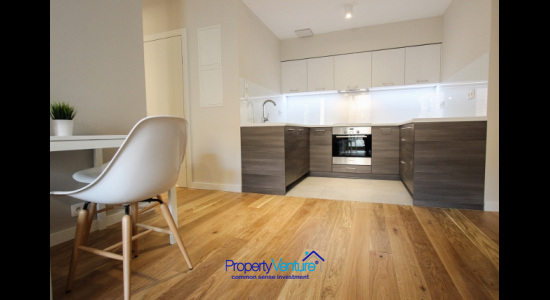 The apartment is sold in a finished condition – which includes wooden floors, bathroom with tiles and sanitary ware, interior doors, fitted kitchen with household appliances: dishwasher, washing machine. The apartment comes fully furnished and equipped with a TV. 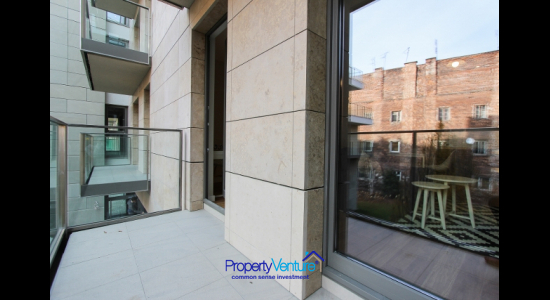 The apartment includes a parking space in the underground garage with an additional cost of 70,000 PLN. 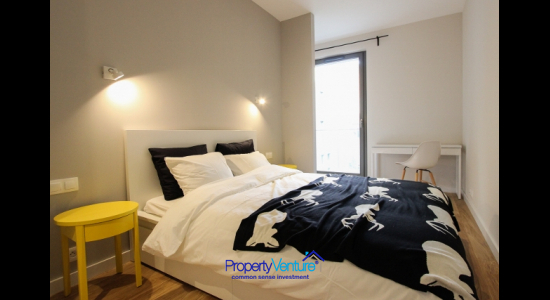 There are a range of resale apartments which come to market, starting from 38m2 , some come as ready-to-rent investments, others can be bought as city pied-a-terres or homes.